Those who are defying industry expectations in order to go hand-in-hand with jaw-dropping performances are often overlooked. Truth be told, behind every intricate firework display stands a pyrotechnics team behind-the-scenes, ready to drop everything and work until the show is ready to be viewed by an audience of thousands. to discuss the perks of the job, as well as the challenges that the sector faces in such a high-demand industry. “From worldwide rock tours, royal fireworks displays and international sporting events, we are the only pyrotechnics company to have fired pyro off the Wembley arch,” adds Emma Williams, marketing manager at Le Maitre. 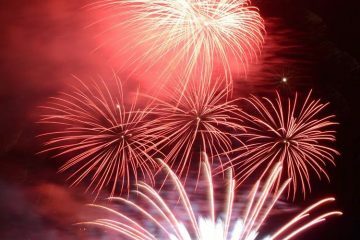 With a recent peak in pyrotechnics, helped hugely by the London 2012 Olympic Games, suppliers are seeing an increase in organisers’ demands for well-designed firework shows. That also means the creators are often given creative freedom by their clients. 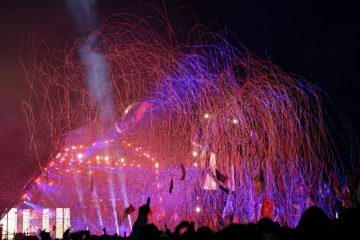 “We feel the creativity bar is constantly being raised, and one of the impacts of London 2012 has been a new-found confidence that we in the UK are really good at making events happen,” says Titanium Fireworks’ Toby Alloway. “On occasions, we are given more creative reign. The best recent example of this is our work with the MTV EMAs. 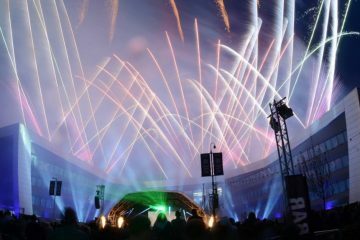 This year we supplied an indoor pyro display for Global Icon Award winners Green Day and their latest song ‘Bang, Bang’. 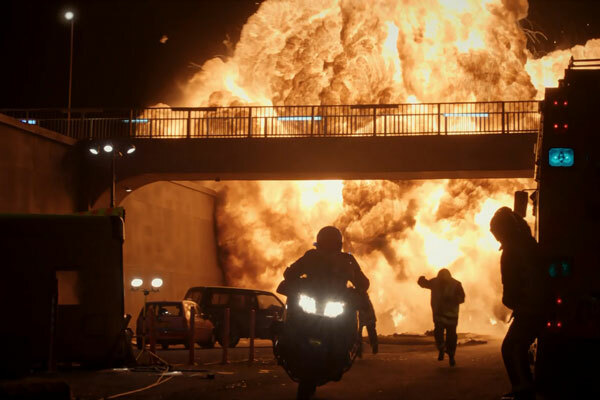 The brief was to literally make the set go bang using up to 1,000 pieces of pyro in the last 30 seconds of the track,” explains De-Pulford. Challenges of the job vary from adapting to updated health and safety regulations, to the significance of the pound defining what makes a spectacular show. Alloway says rising prices are his biggest challenge. Being around fireworks, hot lights and explosives all day does sounds highly dangerous, so Access is curious to and out just how dangerous a job in pyrotechnics really is. “The UK events industry has an amazing safety record. Of course, things can go wrong, but I don’t see why working with fireworks should be any more dangerous than walking around a town,” Alloway adds. New technology is a large factor in most physical sectors nowadays, with it becoming simultaneously easier to produce content, yet more difficult to maintain the highest standards of pyrotechnics display. As events of all kinds push the boundaries, so do their technicians. With every event that includes fire being thrown from the stage or sparks raining over a crowd, the bar is automatically raised to the entire industry. “Big pyro displays have become a staple of festival entertainment over the last few years, and I think we can expect this just to get bigger and brighter in 2017. A lot of artists are really upping their game in wanting to create that memorable moment for their audience,” says De-Pulford. 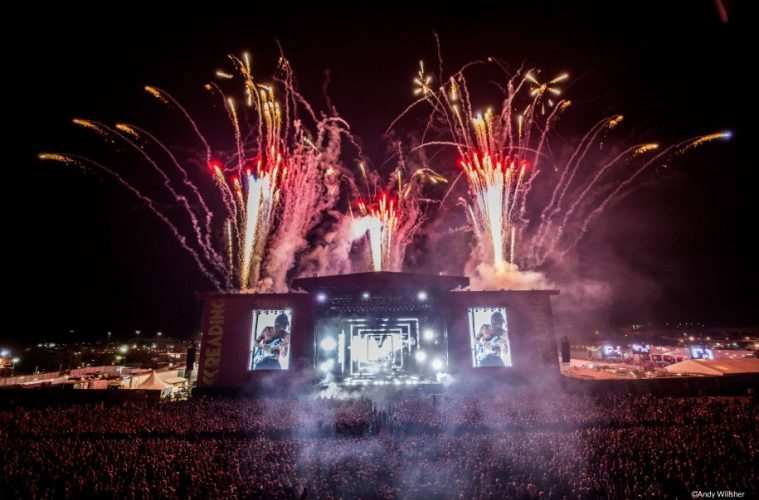 Organisers are clearly paying attention to both the audiences of their shows and the SFX pyrotechnics companies that are putting them together, all while being able to command and guide a show-stopping outcome. While the preparation and elements involved in producing a pyrotechnics show are often pushed to the side, the displays themselves may go down in history as being part of an event of a lifetime.